The analysis in this report is based on telephone interviews conducted Jan. 7-14, 2016 among a national sample of 2,009 adults, 18 years of age or older, living in all 50 U.S. states and the District of Columbia (504 respondents were interviewed on a landline telephone, and 1,505 were interviewed on a cellphone, including 867 who had no landline telephone). The survey was conducted under the direction of Abt SRBI. A combination of landline and cellphone random digit dial samples were used; both samples were provided by Survey Sampling International. Interviews were conducted in English and Spanish. Respondents in the landline sample were selected by randomly asking for the youngest adult male or female who is now at home. Interviews in the cell sample were conducted with the person who answered the phone, if that person was an adult 18 years of age or older. 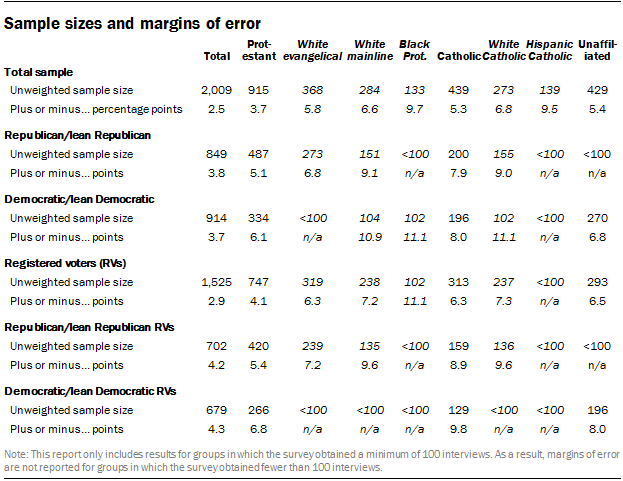 For detailed information about our survey methodology, see https://www.pewresearch.org/methodology/u-s-survey-research/.